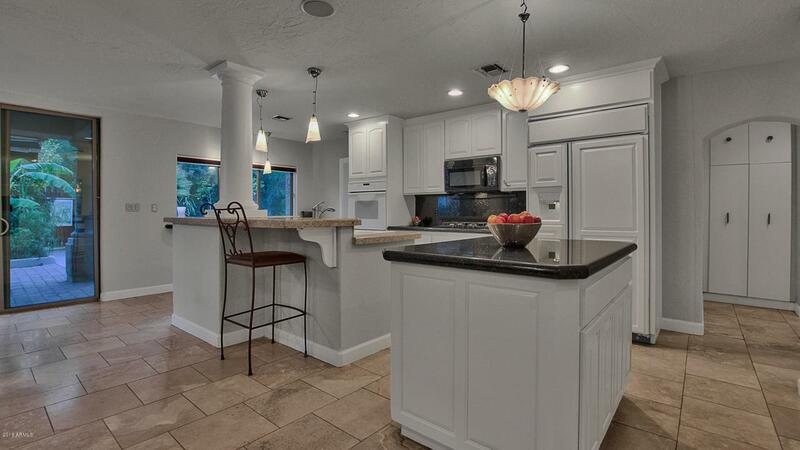 This renovated, custom 4 bedroom / 3 bath + bonus room home in North Central Phoenix has it all! 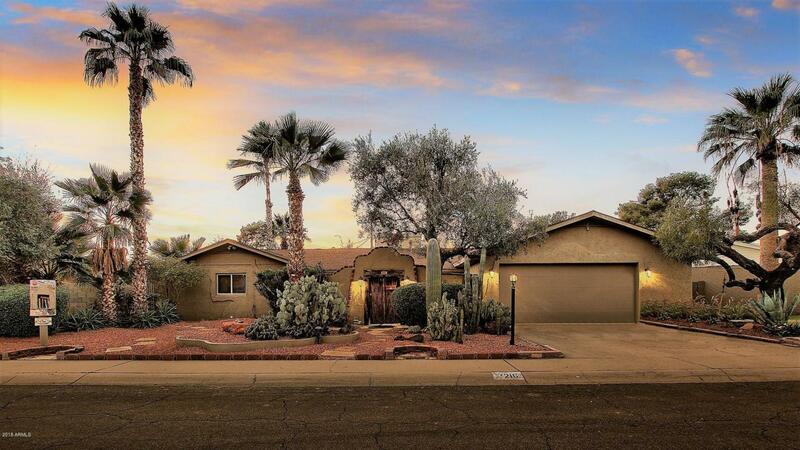 Featuring an open and split floor plan, newly polished travertine, kitchen islands, granite counter-tops, new gas stove top, and three-way panoramic fireplace that can be enjoyed from multiple areas of the home. 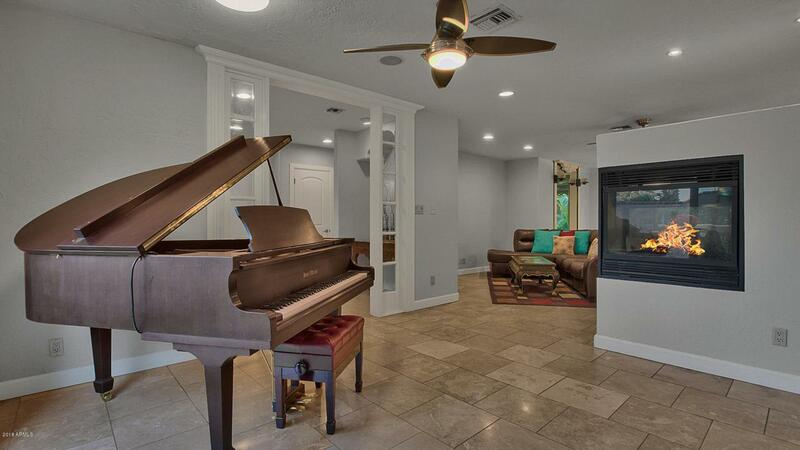 You will love the private front and back courtyards that open for inside/outside entertaining. The spacious Master Suite with office area, en suite, dual sinks and shower heads, and walk in closet will wow you. The 2nd Master Bedroom with en suite, along with 2 other bedrooms and a bonus room provide plenty of options. 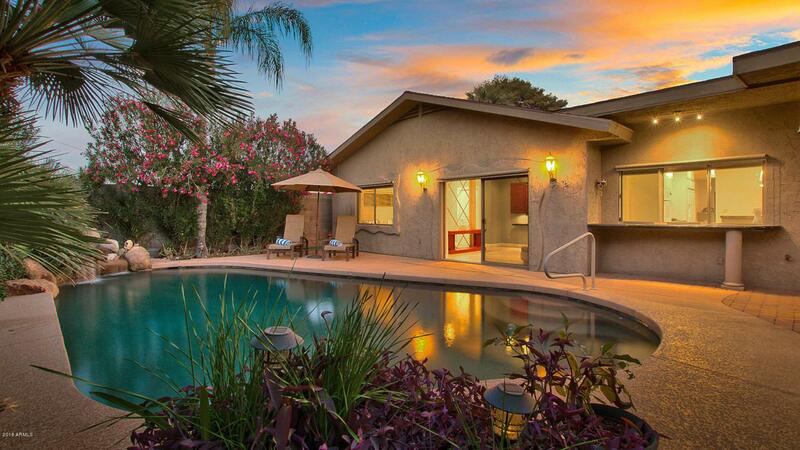 Don't forget the tropical retreat you will find in the backyard complete with pool, koi pond, covered patio and pergola.